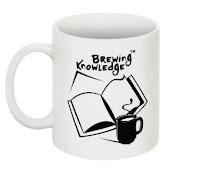 Brewing Knowledge: Words do not educate us! Words do not educate us! Words are an utterly rudimentary approximation of reality; the creative infinity mind is a far more accurate portrayal of reality having12+ additional dimensions used by quantum pioneers who find that living nearer to reality is to discover a wonder world of beauty coming from creative rapture. Hans Eysenck described the ecstasies experienced by scientists and poets such as Rumi as possessing “Divine Madness”, which unlike the dungeon of psychosis is the greatest Liberation. Quantum physicists’ creative infinity brains are marvellous and so large that they are almost infinite. Yet our schools teach almost nothing about it and absolutely nothing about the potential, which is unimagibly greater.